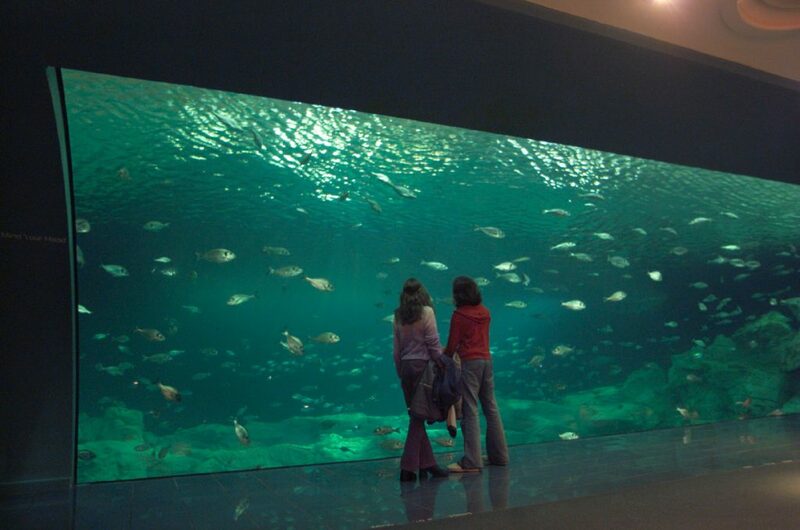 A landmark building for Plymouth, the National Marine Aquarium is one of Europe’s leading aquariums. 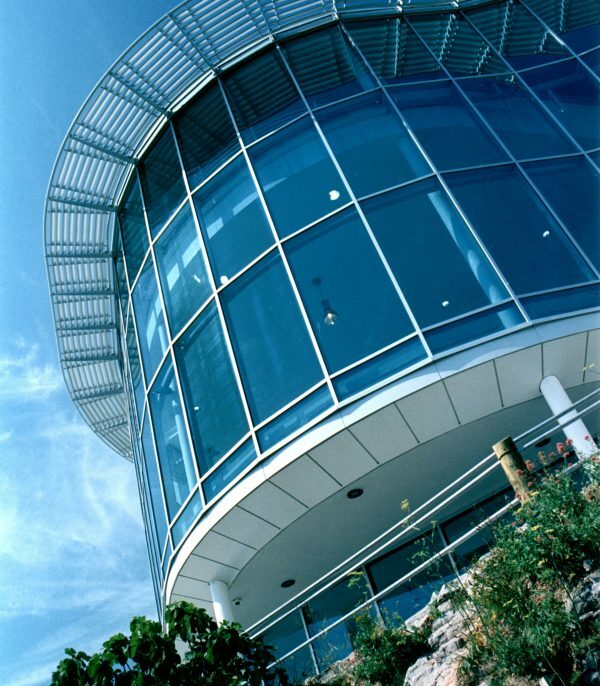 Designed to be innovative and exciting it was instrumental in the city’s economic regeneration. 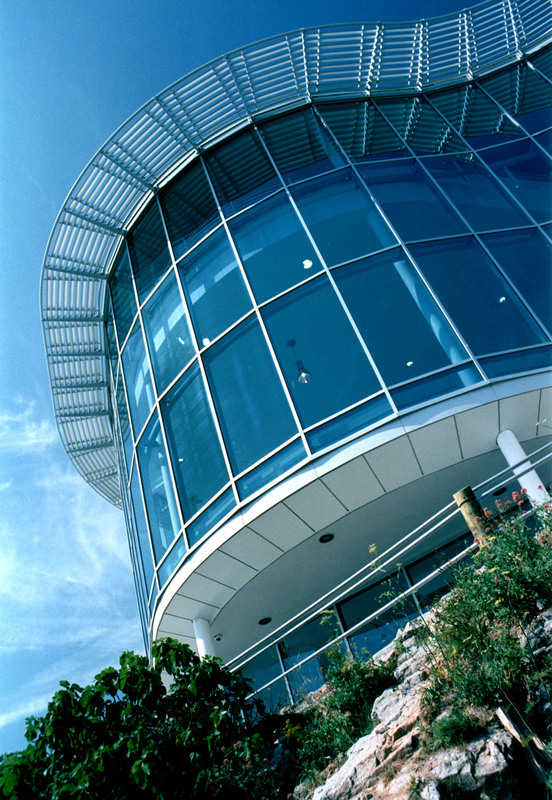 LHC was first commissioned to design the complex building in 1995. 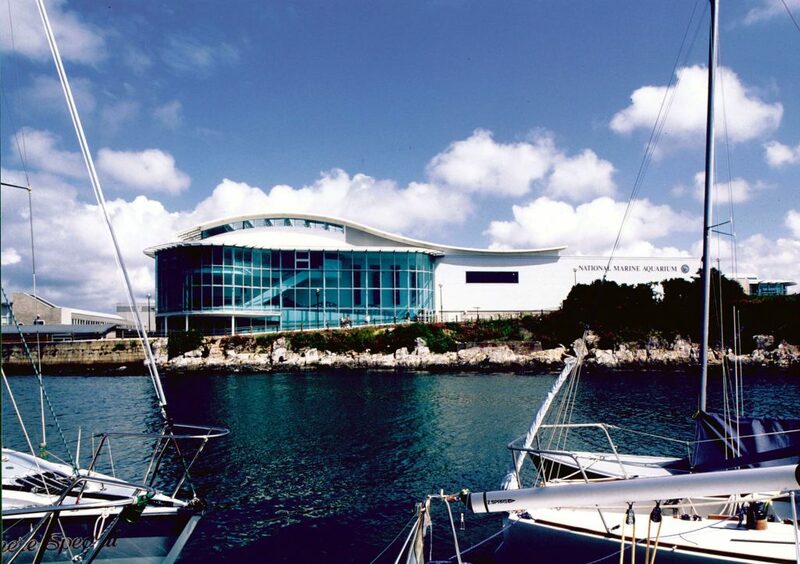 Phase 1 opened in 1998 and in 2018 the National Marine Aquarium celebrates its 20th birthday. 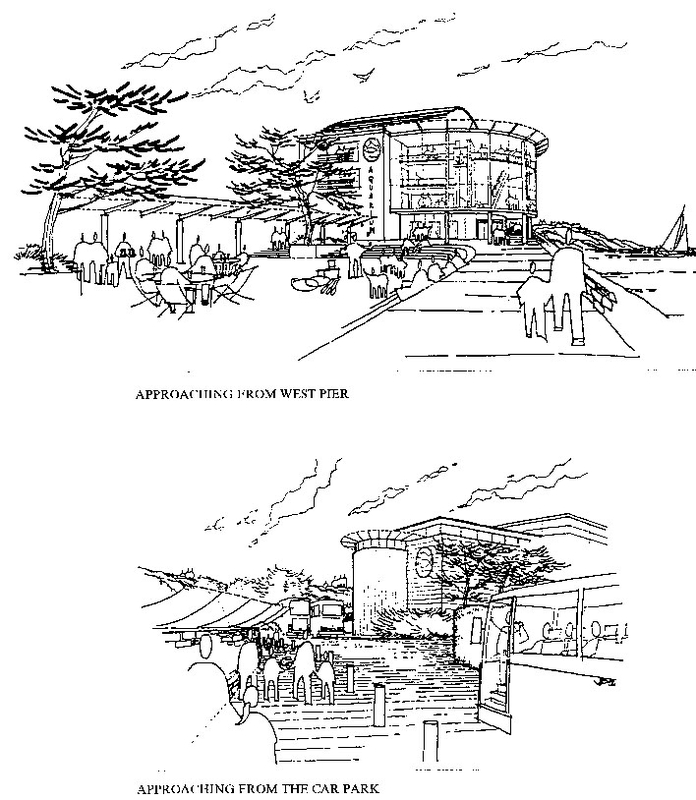 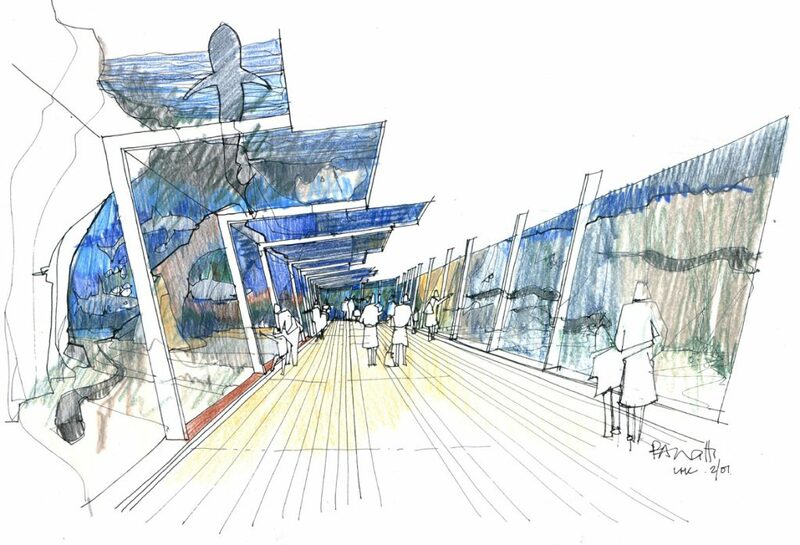 We’ve marked their 20th birthday by looking back through our architectural archives, and we’ve found the original drawings for all three major phases of the development. 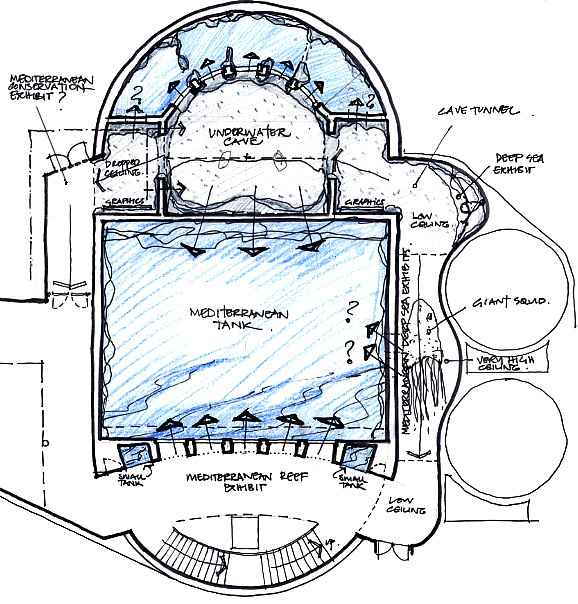 Have a look below to see some of LHC Director, John Baulch’s, original designs, and sketches by our architectural illustrator, Phil Watts. 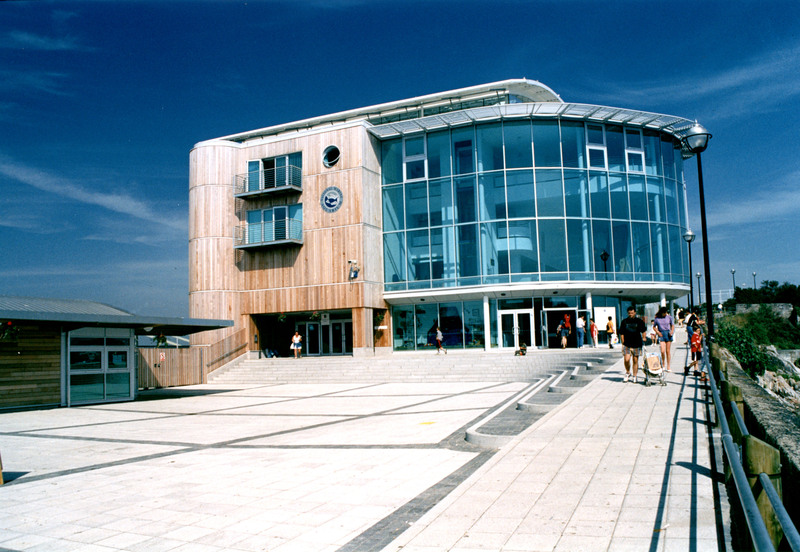 The main building, Phase One, opened to the public in 1998 and included six key exhibition areas, a viewing gallery, large shop, restaurant, ice cream parlour, toilets, offices, curatorial areas, workshop and engineering areas. 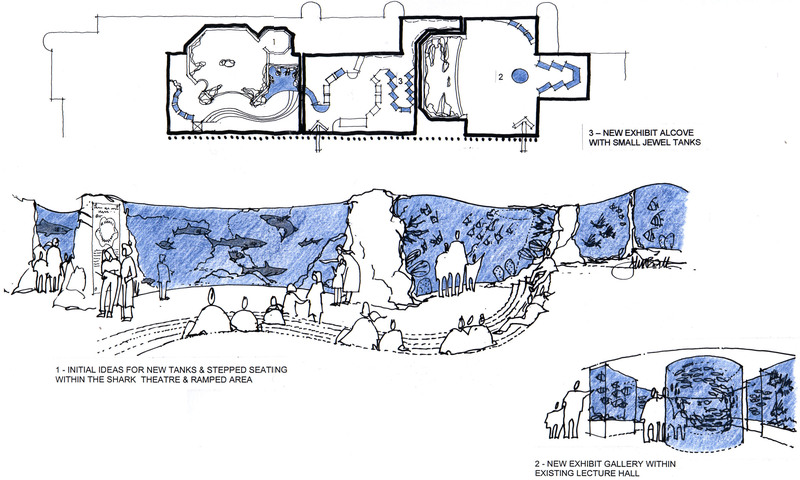 Externally the design included a service yard, coach park and public square/plaza. 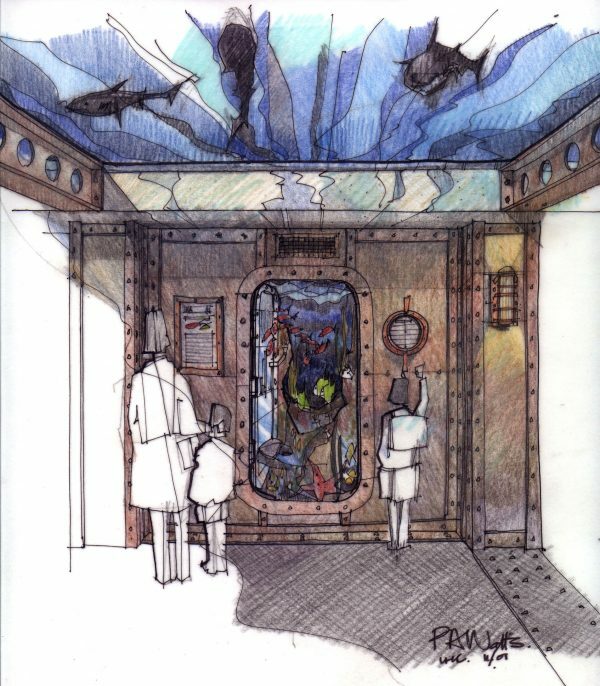 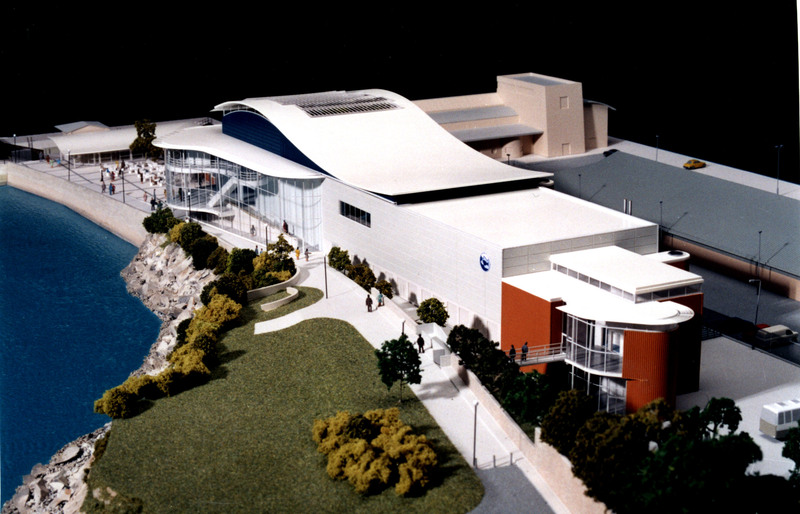 Phase Two comprised a 2.3 million litre ocean tank with tunnel, underwater cave and wreck experiences and included alterations to create a major new coral reef exhibition tank and auditorium. Phase Three was ‘ExporOcean’ exhibit. 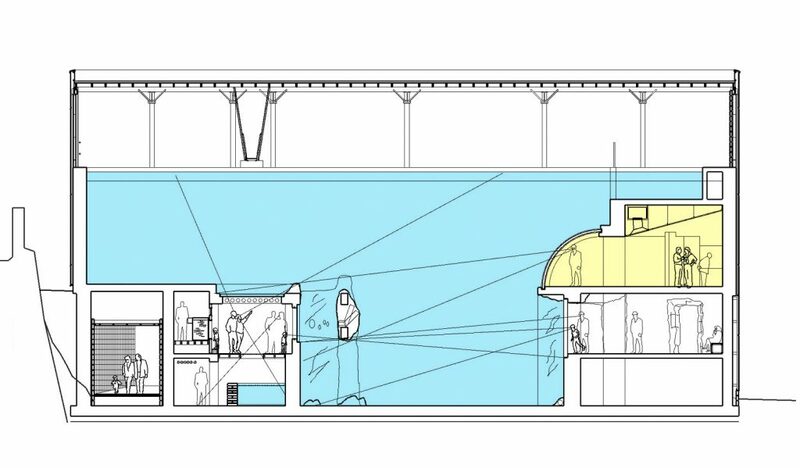 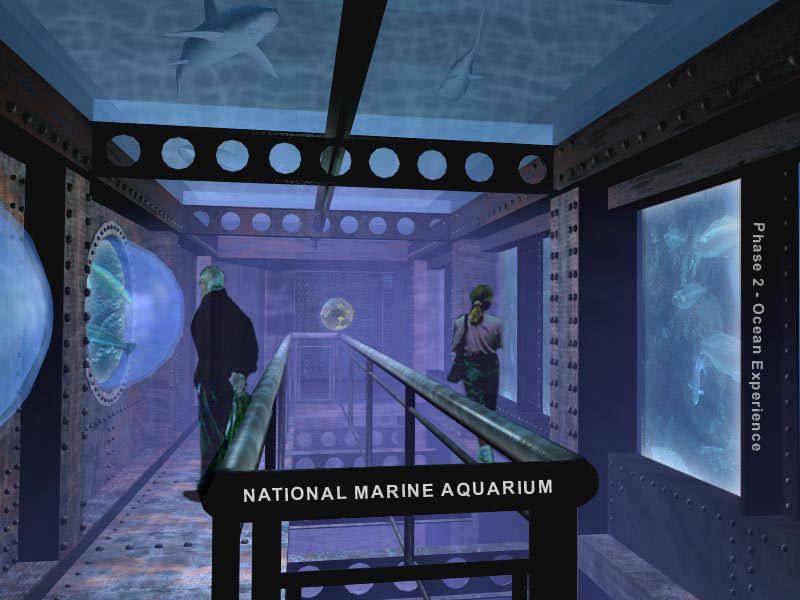 This incorporated an exhibition hall which demonstrating marine science, technology and renewable energy. 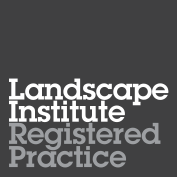 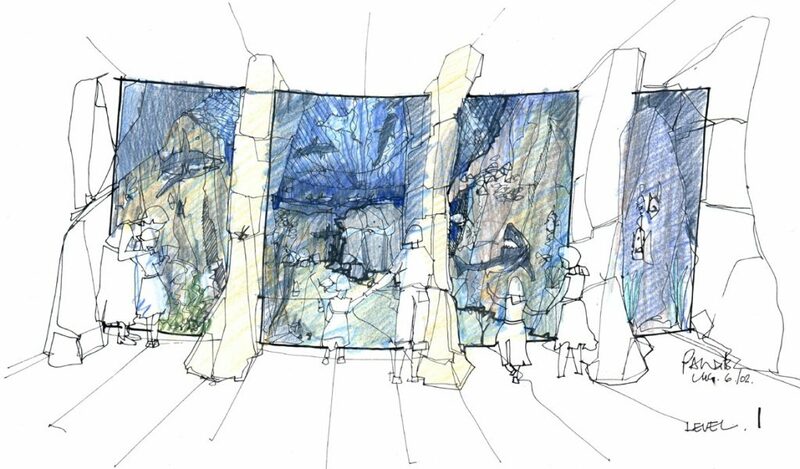 At LHC we still love to work with hand drawn designs as an integral part of our design process and hold regular hand-drawing workshops in the practice. 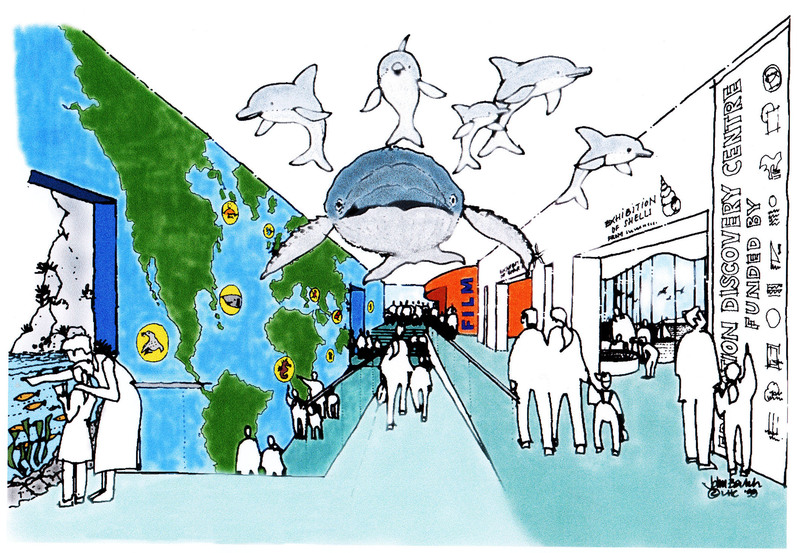 Back in 1998 presentation visuals were invariable produced by hand. 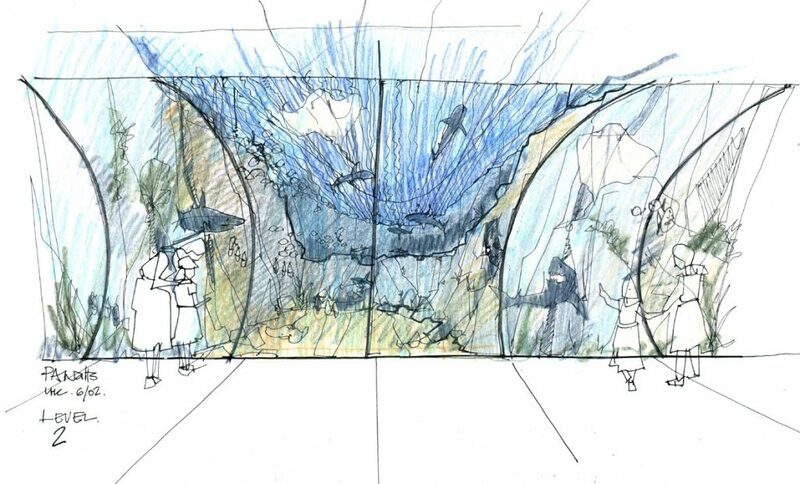 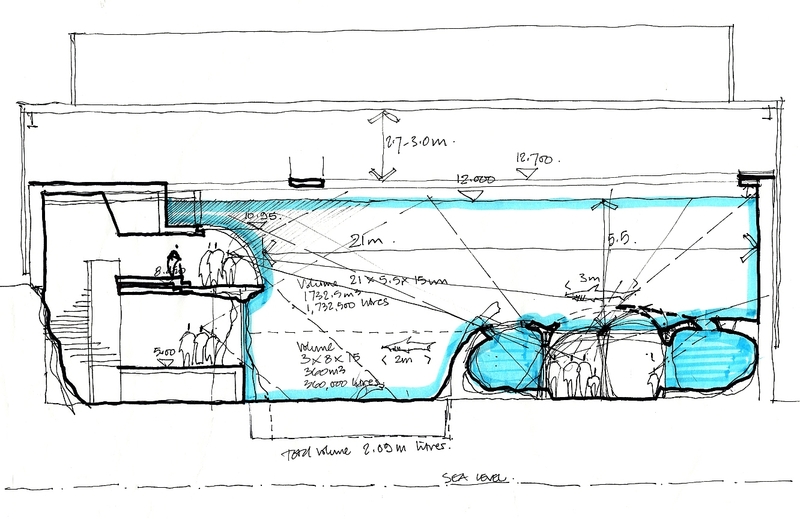 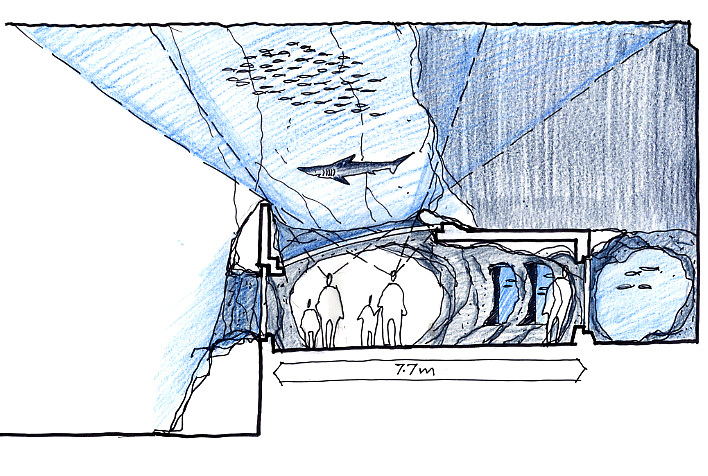 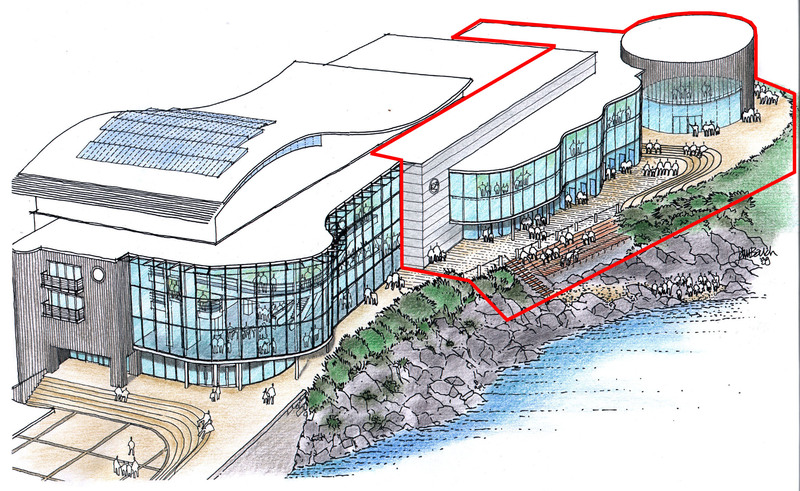 Have a look below at some of the variety of plans and visuals produced for the three phases of the aquarium.